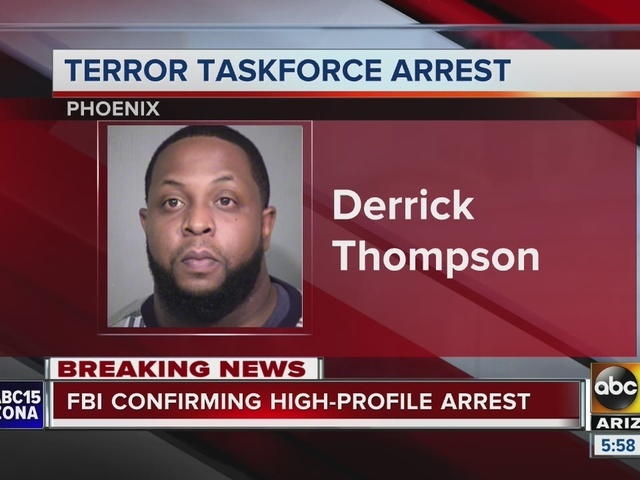 The FBI's Joint Terrorism Task Force has arrested a Phoenix man as the result of an investigation, officials said. 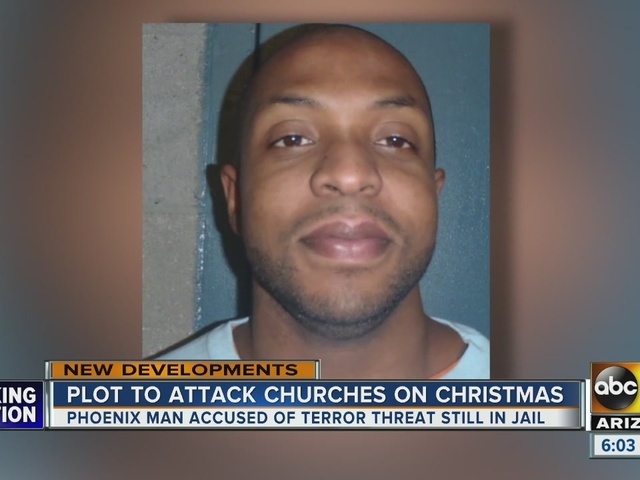 According to Phoenix officials, Derrick Thompson was arrested on Dec. 20 near 30th Street and Osborn Road. FBI officials said the man was arrested for participating in the assistance of a criminal syndicate. He was also arrested on attempts of misconduct involving weapons. They said there are no indications of any further threats involving Thompson, who was booked into the 4th Avenue Jail in Maricopa County. Details about the crime and the investigation are currently unavailable. Stay with ABC15 for updates.